Ramirent is a leading company in the equipment rental solutions business. Ramirent was founded in 1955 and has operations in 10 countries. Ramirent’s vision is to be the leading and most progressive equipment rental solutions company. Ramirent offer efficiency and safety improvements by combining machines, services and know-how into customised rental solutions – More than Machines ®. The company MasterFlow AB has been in the business of plastic material and machinery since 1939 and been working close to an industry with high demands of quality, accuracy, reliability and service. Family owned and with sale, development and own in-house production of the MasterFlow hot runner system in the south of Sweden, they are now expanding our presence in Europe and Asia. 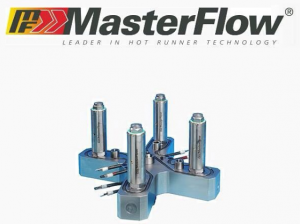 MasterFlow AB have been in the hot runner business since 1981. After thousands of system manufactured and delivered MasterFlow AB can guarantee the best assistance from mold design to production optimization. Their engineers and skilled workers will not compromise with high quality. MasterFlow AB do always strive for providing fast and competent service, satisfied customers and a reasonable price.